Some of the world's best skiing can be found in Norway. But almost none of it is lift served. That's why Norway's biggest ski magazine Fri Flyt just had to make this book a detailed guide to all of the breathtaking ski touring areas in Norway, including Jotunheimen, the Sunnmore Alps, the Lofoten archipelago and the Lyngen Alps. The original Norwegian version of Ski Touring in Norway has inspired thousands of Norwegians to break trail in search of great ski experiences. Now this classic book is finally available in English. Also included are new overview photos and improved route drawings. 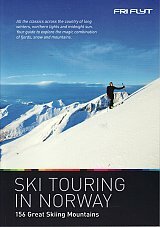 The book is indispensable for choosing where to go, planning your ski day and even during routefinding in the mountains. Each of the summits is thoroughly described, with route choices, maps and overview photos. Each of the 34 areas is presented with useful information on accommodation, transport, maps, website and local ski areas. You will also find chapters about what gear to bring, first aid, avalanche knowledge and glacier travel. 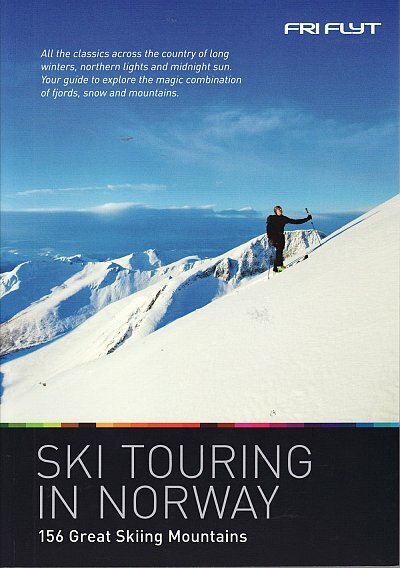 Many of the country's top ski touring guides and local enthusiasts have contributed to the book.